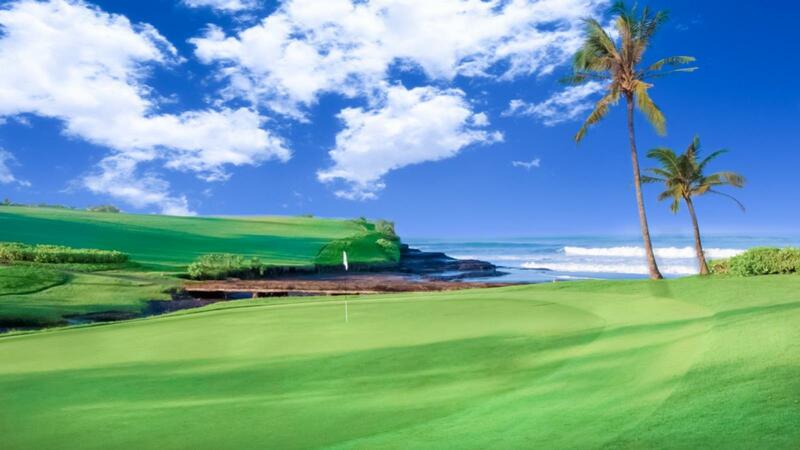 Every passionate golfer dreams of the perfect setting to accompany a round of golf, and Nirwana Bali Golf Club is a course that promises a first-class golf experience. 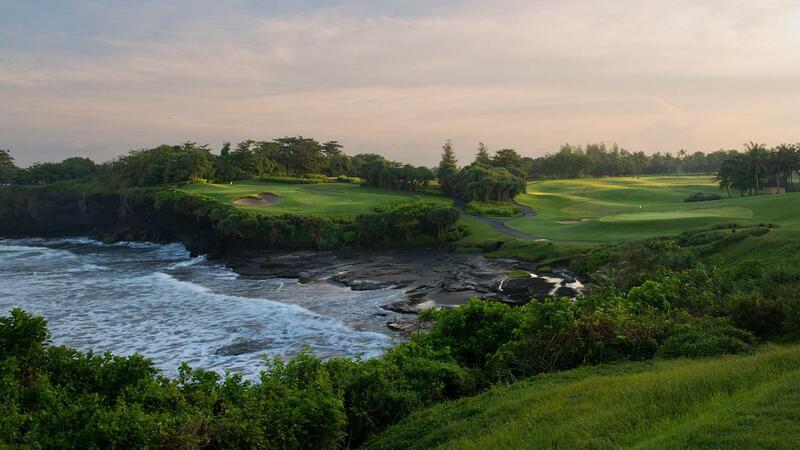 Situated on Bali’s southwest coastline at Tanah Lot, this 6,805-yard par-72 championship golf course in Bali is a masterpiece created by nature. 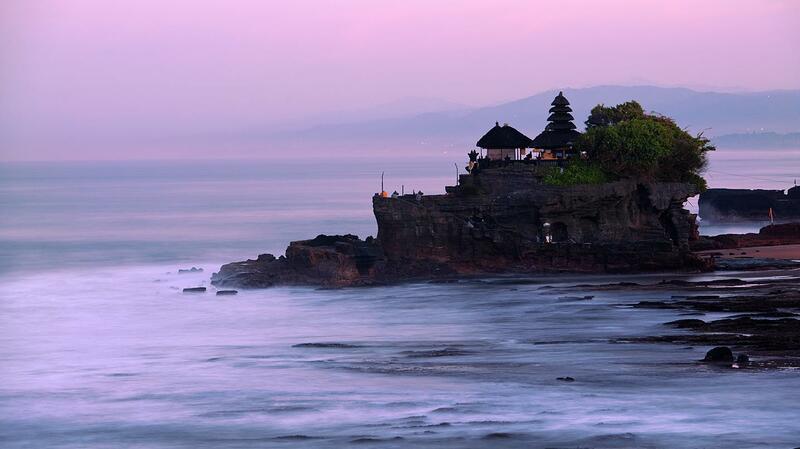 Think dramatic ocean views and an abundance of tropical green Balinese landscapes. 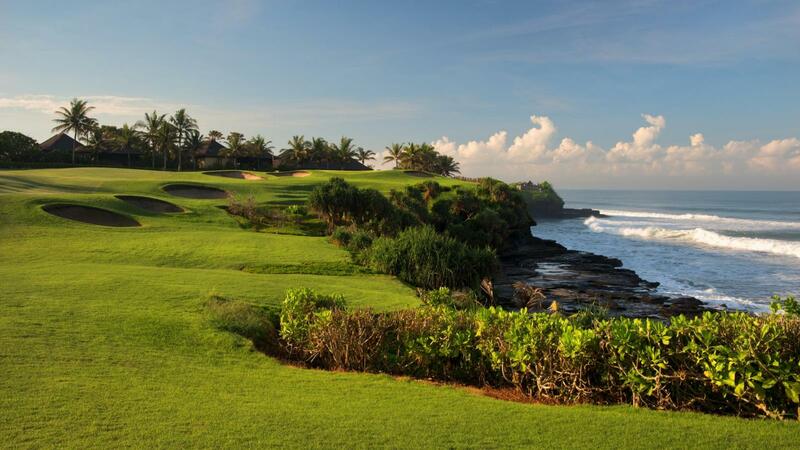 Established in 1997 and designed by professional Australian golfer Greg ‘The Shark’ Norman, Nirwana Bali offers a daring round that appeals to both professionals and beginners. 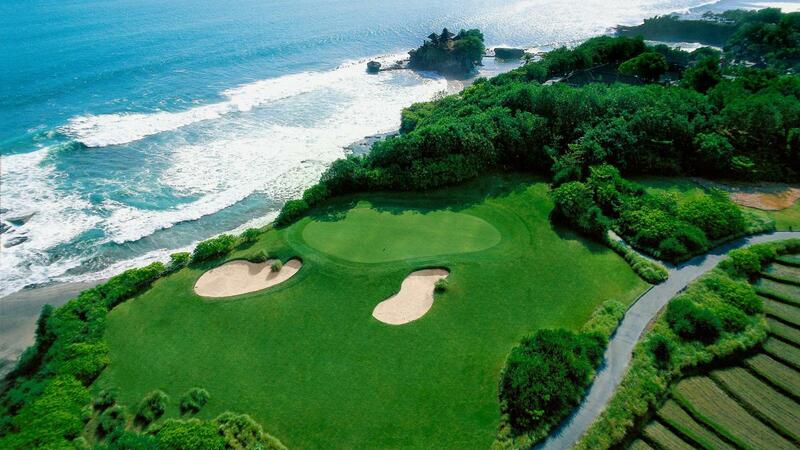 The signature par-3 hole 7 is the most photographed spot on the course, overlooking Pura Tanah Lot – one of Bali’s most important Hindu sea temples. 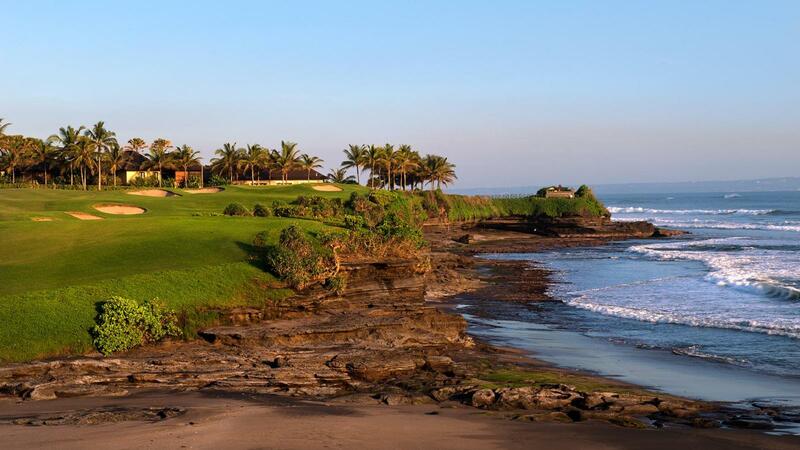 Another challenging hole is the cliff-top hole 13, where each swing faces unpredictable ocean winds. 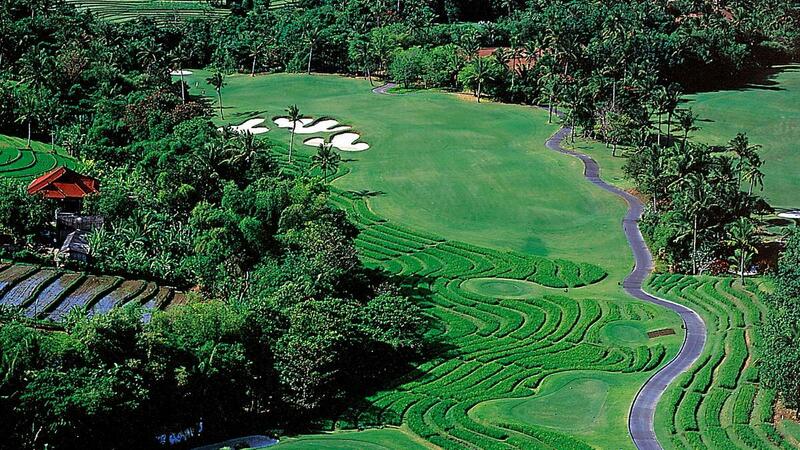 The eastern part of the course is more beginner-friendly due to its adjacent driving range. 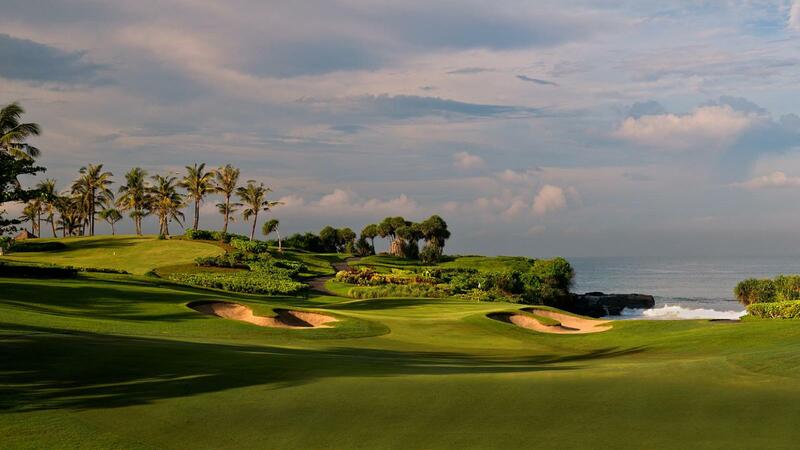 Up above holes 1, 5, and 9 you can find the stunning Golfers Terrace restaurant where you can enjoy a delicious meal with a picturesque view of one of the best golf courses in Bali. 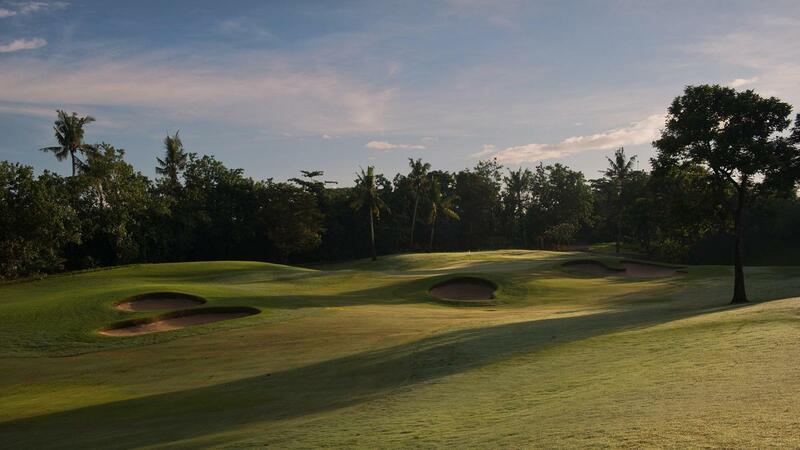 Facilities include the use of the free locker rooms and Nirwana Bali Golf’s Pro Shop where you can purchase high-quality golf equipment and merchandise. 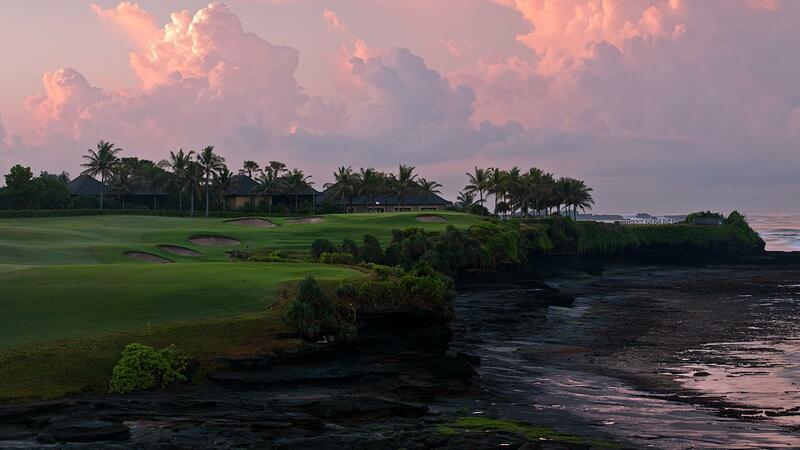 With its unique location, demanding terrain, and awe-inspiring environment, Nirwana Bali Golf Club offers its visitors a truly elite experience. 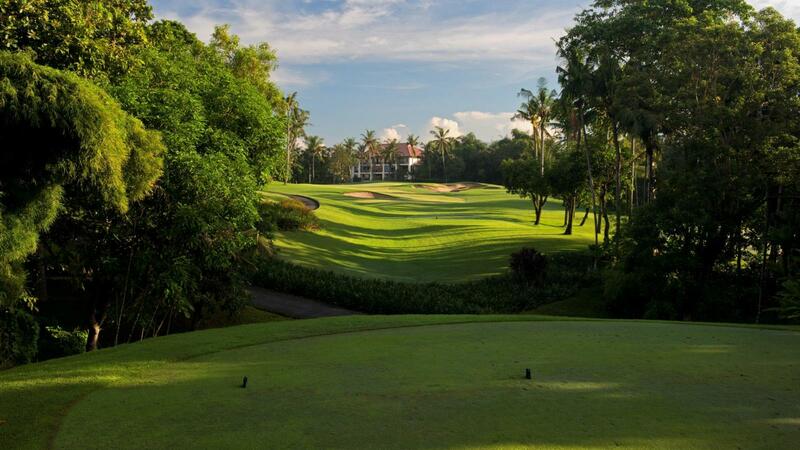 It was ranked among ‘Top 100 Golf Courses’ and ‘The Number One Golf Course in Indonesia’ by Golf Digest as well as ‘Indonesia’s Leading Golf Resort’ by World Travel Awards and ‘Asia’s 10 Most Elite Golf Courses’ by Forbes Travel Guide. 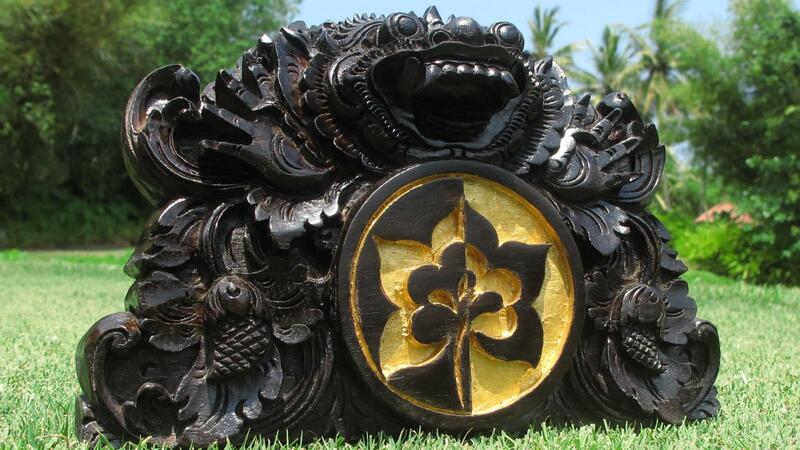 Please note that Nirwana Bali Golf Club is currently closed due to extensive renovation and updates will be made available as soon as the course is ready to reopen. Wonderful environment. extremely pretty and testing well maintained golf course.Some thing really special to experience. Please don't let anyone change the place !!! Fairwy and green perfect. 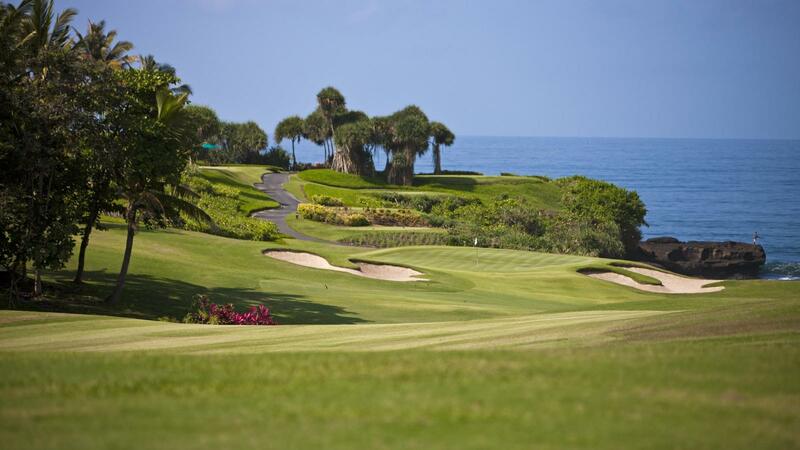 6 holes with a wanderfull ocean view. And cady with a strong knowledge of the course. There is actually no point in writing any comments as the course is officially closed from today for I have been told around 3 to 4 years whilst Trump totally revamps the place like he does to a 6 star resort and will probably charge a ridiculous amount for a round of golf. It certainly needs an uplift so let's hope Trump does a good job. Location is magnificent. The course and caddies were good. But the green speed is slow. Making hardeness of surface of the green is needed. Good course, a pity it will be closed!